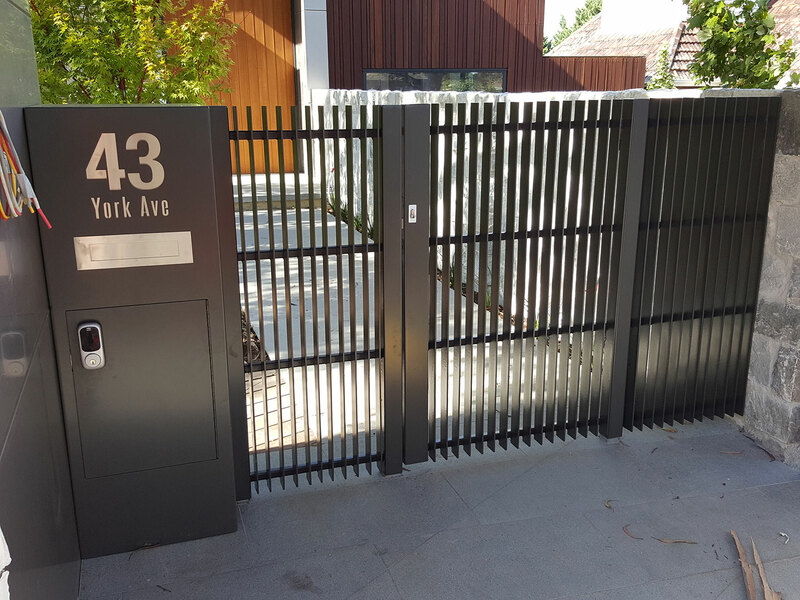 On a huge site in Ivanhoe, we had the pleasure of creating corten retaining walls and a letterbox and feature gates to this new build. 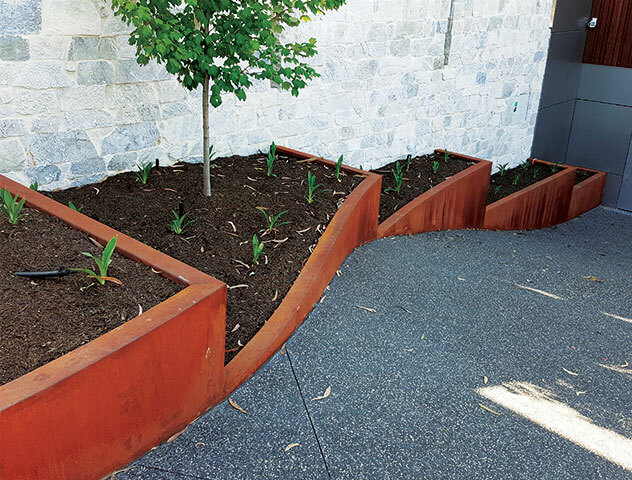 The driveway slopped down steeply while we also curved down the hill, with the Corten retainers the result is an impressive contrast to the shining surfaces throughout the property and a great way to lead into the basement garage. The indoor pool and outdoor tennis court are separated by a maze of corten retaining walls and decking that creates interest and dimension within the space. 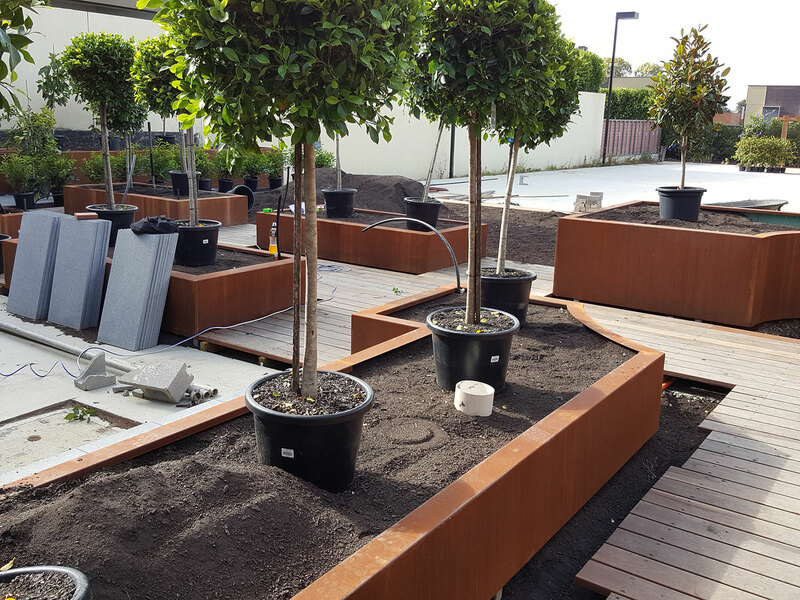 With varying heights up to 900mm from deck height, curves and straight lines, the corten retainers gives the plants immediate height and impact.